Charlie Brown is the classic awkward boy. Alongside his faithful, fearless and supportive beagle, Snoopy, Charlie navigates the dicey waters of childhood: trying to fly his kite, practicing his baseball pitch, trying to get through school and socializing with all the neighborhood kids. But when a new girl moves in across the street, it's love at first sight for Charlie Brown. In order to win the love of the Little Red-Haired Girl, Charlie Brown takes a nickels worth of advice from his psychiatrist, Lucy Van Pelt and tries to become a winner. 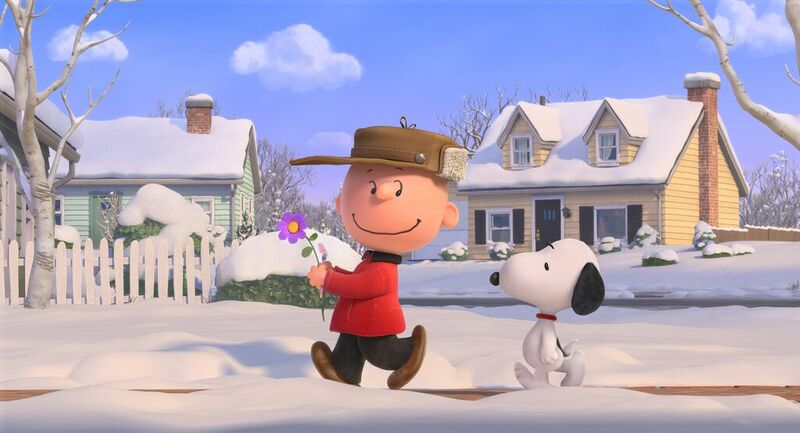 Here are 5 things to know about "The Peanuts Movie." 1) The animation is lovely. The animators took Schulz's classic design and updated it for a modern, digital, 3-D era. And it works! Surprisingly, it works in 3-D too. There are no gimmicks with the technology. It just adds a breathtaking depth to the picture, especially in Snoopy's World War I scenes. I'm not a 3-D fan usually, but this was worth seeing in 3-D.
2) Expect few surprises in the story. When I told my mom what the story was, she said, "haven't we seen this before?" Yeah, the filmmakers played very safe with the storyline. A lot of this supposedly had to do with the input of the Schulz family. In a way, it's a good idea -- it's a kids movie, when it comes down to it. Why mess with proven success? Also, don't expect much from the other characters outside of our basic thoughts on them. Lucy, Linus, Sally, Violet, Schroeder, Franklin, Frieda, Shermie, Marcie, Peppermint Patty -- they're all there. But they don't have major roles in the film. 3) Snoopy has his own story, but doesn't upstage the star. Snoopy the writer is back, and he uses his trusty typewriter to writer a World War I-era love story. That's right, the World War I flying ace gets his own story! And a love interest -- new character Fifi (played by Kristin Chenoweth, somehow). But for purists who think Snoopy overtook the Peanuts in later years of the comic strip, there is balance. Snoopy is a big part of the main plot, sure, but his role is a supportive one. Our favorite beagle truly is Charlie Brown's partner in life -- everything he does is largely out of support for his human friend. 4) Charlie Brown is no bully victim. If you're a fan, you most likely watched "It's the Great Pumpkin, Charlie Brown" at least once in October. And you might have lamented the raw deal Charlie Brown gets. Some of those kids are downright mean (looking at you, Violet!). There's no sign of that bullying in the movie. In fact, at one point Violet herself becomes a big fan of Charlie's. Whether that was a conscious decision, I don't know. 5) Happiness is still a warm puppy. Some will complain that the story is so sappy you could feel the stickiness coming off the screen. And that is very true. There is little to tie this to the early "Peanuts" cartoons, which were slightly darker in tone. This Peanuts film is sweet as saccharine and for most parents that should be refreshing. The film is perfect family viewing. There are few "adult jokes" (really only one topical joke that I found). This is something that young kids will love. 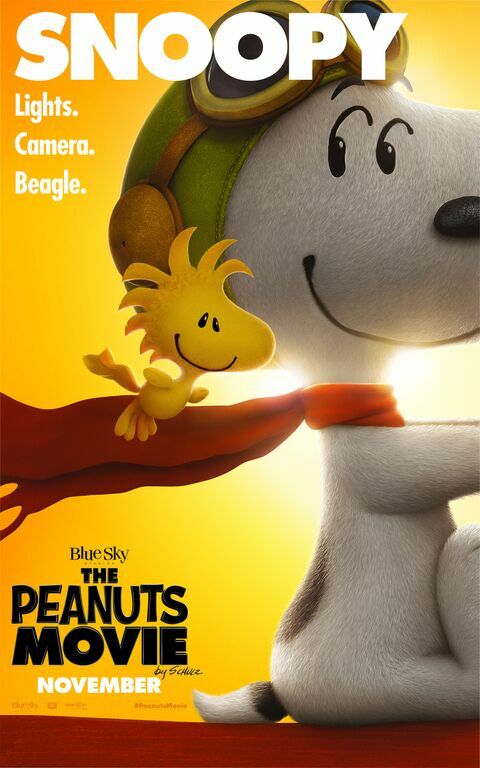 It's a great movie to get the kids into Peanuts. 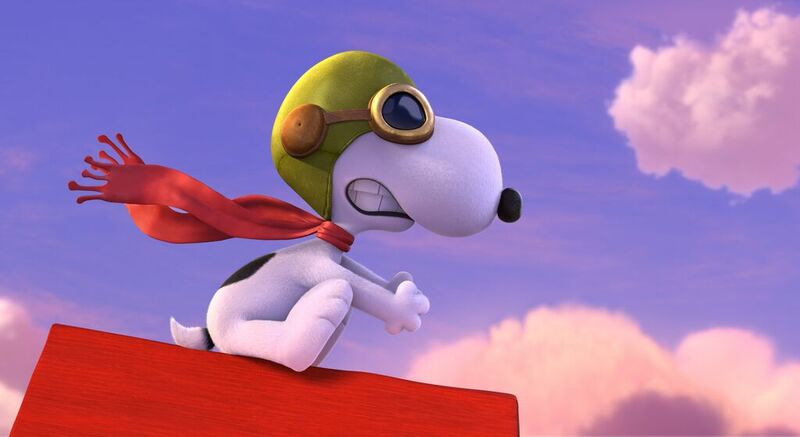 "The Peanuts Movie" is up against some stiff competition in the box office: the James Bond film "Spectre." But if you're looking for an alternative for the whole family, "The Peanuts Movie" will make you laugh and maybe even shed a tear. It's almost as if the whole Peanuts universe has been encased in Carbonite, shipped to 2015, then unfrozen like Han Solo, ready for movie duty.